James Li, General Manager of Newlystar (International) Technology Inc. Ever since the inception of Newlystar (International) Technology Inc., the company has based its memory brand Kingtiger on the "high quality and superior service" principle, the "innovative development" spirit, and the "customer first" notion. The company keeps growing in the memory industry and by now, there are already Stone Tiger, Games Edition and other product series under the Kingtiger brand. The company thrives even during the global economic crisis, and is continuously introducing new products while keeping strong growing momentum. Then what is behind such strong strength and vigor of the company? Recently, DRAMeXchange has specially visited Newlystar's General Manager Li chuangfeng, through whose introduction we have acquired a comprehensive knowledge about the company's operating situation and future market scheme. Manager Li also shared with us his opinions on the development situation of the whole memory industry and also contributed some operational suggestions for its counterparts in the industry. Throughout the interview, Manager Li has shown the uniqueness and deepness in industry insight and the vivacity in mind, which was a reflection of the unique charm of Kingtiger. At present, Kingtiger's products are mainly divided into two parts, LO-DIMM and SO-DIMM. In the current production portion, LO-DIMM and SO-DIMM both make up 50 percent of whole output. The differential products can best embody the value of a brand. Only by sticking to its own way and developing more differential products can Kingtiger satisfy the requirements of different customers. The company will also establish new memory product lines including SSDs, mobile hard disks, USB Flash disks, aiming to become a leading provider of memory devices. 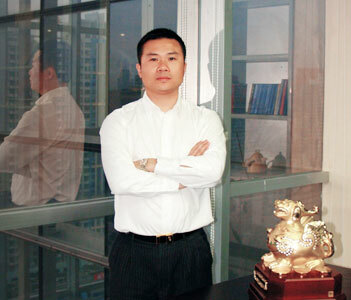 "Firstly, I'm myself very optimistic towards the whole year of 2009", said Li. Through the evolvement and acumination during the past years, Kingtiger has achieved tremendous advancement either in market operating, product research & developing or technology strength. And the strong growing momentum is and will be accompanying the current and future development of the company. The company's quarterly sales are increasing by 60% during the past months of 2009. The growth is the result of the hard working of Kingtiger's whole staff. To ensure 8% GDP growth in 2009 during the economic crisis, Chinese government has been making every effort to expand domestic demand. Additionally, the emerging Netbook market has opened a new door to Kingtiger. With the right time, right location, and perfect harmony in the company, this period is an unprecedented opportunity for Kintiger to develop. By now, the coompany has already seized 50% market share in the memory market for copycatting notebooks. And the target of 2009 is 80%. "That's why I say 2009 is the spring for the memory industry, for the enterprises capable of seizing the opportunity, and the spring for Kingtiger!" said Li. "After the cold winter, the business will bloom in spring!" Presently, many memory manufactures are slashing prices severely, while Kingtiger is not influenced by that, said Li. "I always believe that by making good products and setting proper classes, as well as promoting notions and selling quality, a company can always do business well." To illuminate this, he gave an example: the launch of Kingtiger's notebook PC memories begun as early as 2006. At the beginning, customers were using the memories on a trial basis while Kingtiger were strictly controlling the quality of products. By now, all the clients distributing Kingtiger's memories praise the products, for none or only a couple of thousands of Kingtiger memories they sold out were returned for repair. And now, the company's control on quality is even stricter than before, for as all Kingtiger's staff know, quality is the life of the company. The market has now entered into a transition phase from DDR2 to DDR3. The DDR2 still has immense market. And the profitable space of DDR3 is approximately equal to that of DDR2 after the price drops. On one hand, the drop in cost has resulted in lower price of DDR3 products, which attracts the interest of consumers. On the other hand, shrinking profit of DDR3 could slow the capacity evolving speed of upstream manufacturers, with some major manufacturers still holding a straddling attitude. In one word, in 2009, the industry will be developing in the transition from DDR2 to DDR3. As to when DDR3 will become the mainstream of the market, Li said he estimated the DDR3 to be the mainstream of the notebook PC market by the end of 2009, and in the DIY PC market by the middle of 2010. Kingtiger had fought a tough but brilliant fight during the economic crisis in 2008, with the company's whole revenue of 2008 barely influenced by the crisis.With abundant capital, flexible mechanism and complete channel management, Kingtiger has successfully survived the crisis and is ready to welcome the coming of spring. "The DRAM market will be prosperous in the second half of 2009. ", said Li, who holds a positive market outlook for this year. He separately noted that the spirit of "persistence" is important for any business. The value of persistence lies in the wealth it will bring to a company. The company's experience is that service and quality are the best guarantee of sales. And the most valuable lesson to learn from Kingtiger is that a company should always put equally high value on both quality and service.